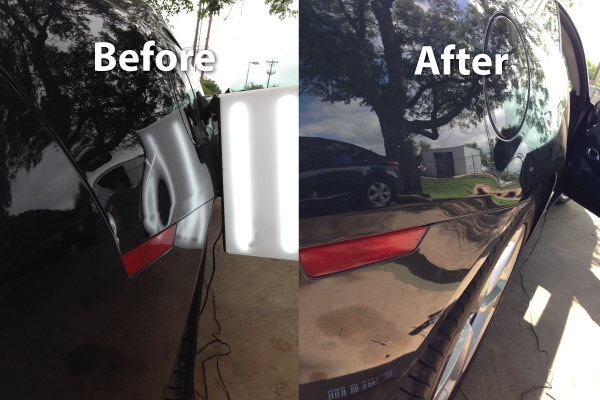 Looking For Quality Paintless Dent Repair In Dallas? 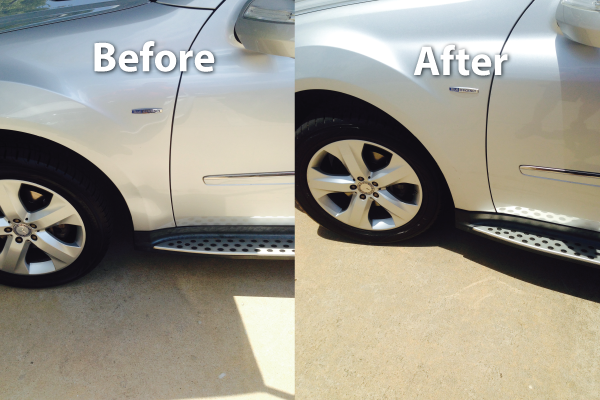 Are you looking for superior Paintless Dent Repair (PDR) in Dallas, Texas? Then look no further than Texas Dent Works. Paintless dent repair is exactly what it sounds like — dent repair that doesn’t involve new paint. If you’re frustrated because your vehicle has a conspicuous dent that resulted from a hailstorm, car door, shopping car, or even a fly ball, paintless dent repair might just be the perfect option for you. 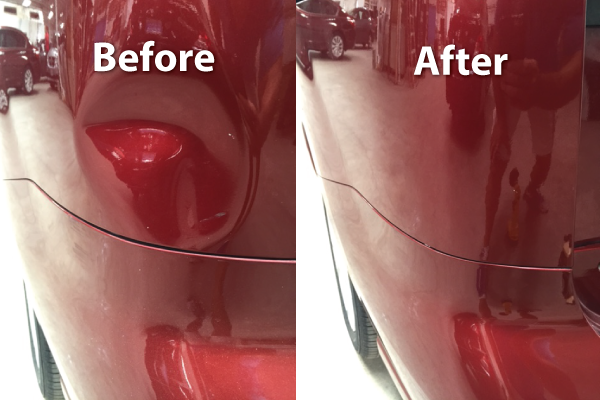 Our Dallas paintless dent repair service smooths away dents without affecting your car’s original finish. Paintless dent repair service generally entails employing equipment that places pressure onto the rear sections of vehicles’ panels and pushing out any flaws located on the car’s surface. Paintless dent repair also occasionally involves affixing tabs to the outer sections of panels and tugging on the dents via the upper portions. These methods combined can successfully reinstate the look of your vehicle panels. Our Dallas paintless dent repair service is beneficial for a number of reasons. We can repair your car on-site, which means you don’t have to leave your car at a body shop where it can be waiting for days. Because paintless dent repair doesn’t involve new paint you’ll have you car back in less than an hour. You’ll find that our paintless dent removal is much more efficient, cost-effective, and convenient than traditional dent repair. 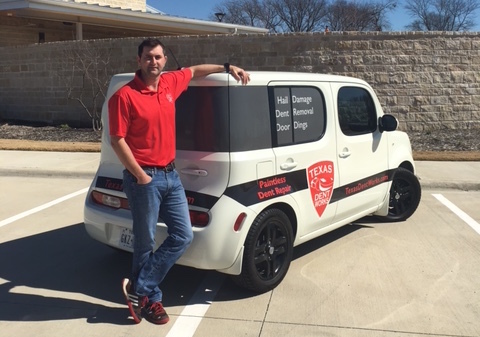 If you’re in need of trustworthy Dallas paintless dent repair, call Texas Dent Works at 972-542-3500 for a free estimate. 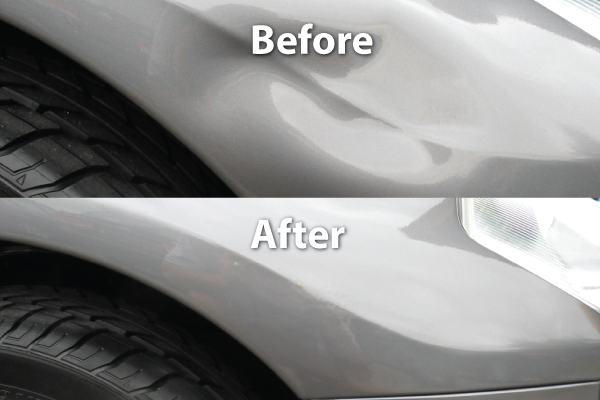 When you need quality dent repair in Dallas, Texas, the services we offer are simply unbeatable.